Andrew J. Andropolis -- His work may remind one of the Renaissance artist. It spans a variety of styles and techniques: oils, watercolors, acrylics, pastels, pencil, metal, stained glass, clay or whatever materials he felt would work. From paintings with vibrant colors, making gold or silver jewelry, to creating ceramic sculptures of soldiers in war, he enjoyed working with all of these mediums. 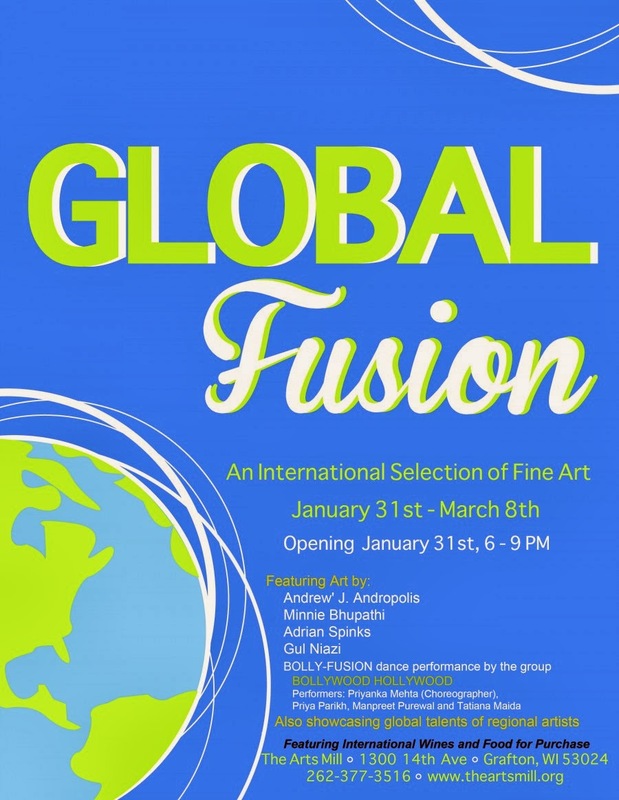 The Arts Mill is holding its 3rd annual Global Fusion Exhibition January 31 – March 8, 2014. 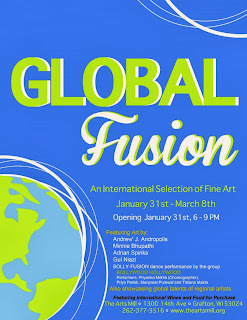 The exhibit opens Jan 31 from 6-9pm. This is a multi-component exhibition. We are inviting artists to submit art with a Global View that explores diverse cultural perspectives and shared human experiences. This component is NON-JURIED. All media is considered. Works must be for sale. The Arts Mill receives 30% commission on works sold. The Arts Mill reserves the right to not include art that does not fit the requested theme. The human impulse to create art is universal. Art has been a way to communicate beliefs and express ideas about the human experience throughout all stages of civilization and in every region of the world.